Since 1992 Sustained Energy has stood the test of time in every conceivable endurance and ultra-endurance event. No matter how difficult or lengthy your exercise or race is, Sustained Energy will come through every time, and keep you going kilometer after kilometer, hour after hour. 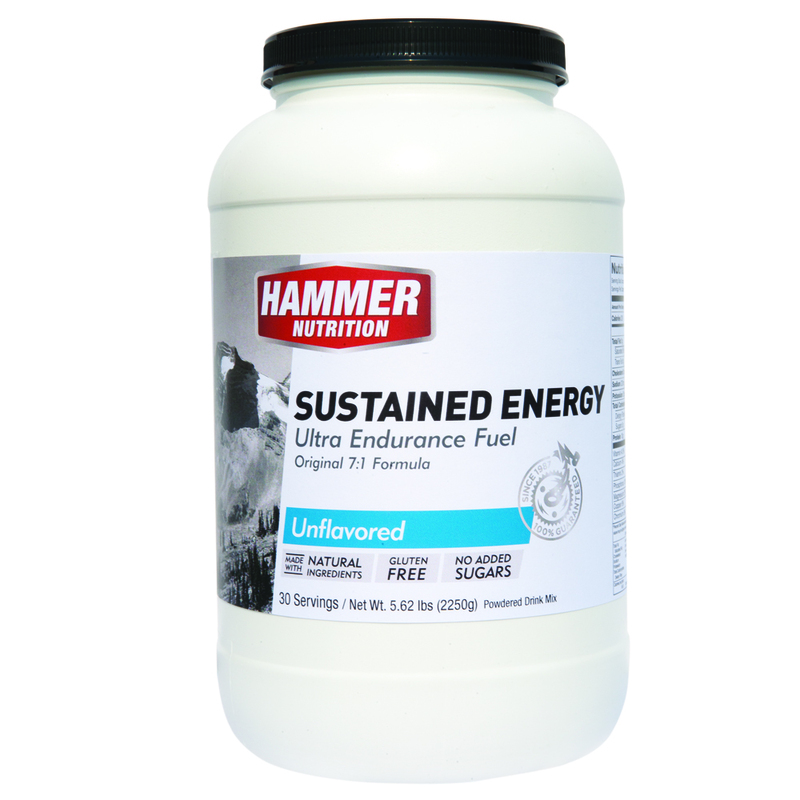 Hammer Nutrition’s original long distance fuel, Sustained Energy has attained a legendary status in the world of endurance sports since its introduction in 1992. Tested and proven in virtually every endurance event on the planet, Sustained Energy, with its unique 7:1 carbohydrate to protein ratio and it’s neutral flavor is still the first choice of thousands of athletes. After about two hours of exercise, you need to have some protein in your fuel or you will start to cannibalise or break down precious muscle tissue. 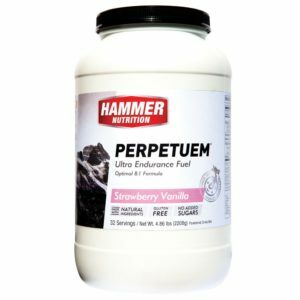 So when your exercise goes beyond the range of Hammer Gel or HEED alone, Sustained Energy is ready to serve you, providing premium fuel complemented with specific nutrients that support enhanced fat utilization and lactic acid buffering. Give Sustained Energy a try—you’ll have 100% confidence in your fuel—and you’ll understand why it’s been the choice of thousands of endurance athletes for well over two decades. 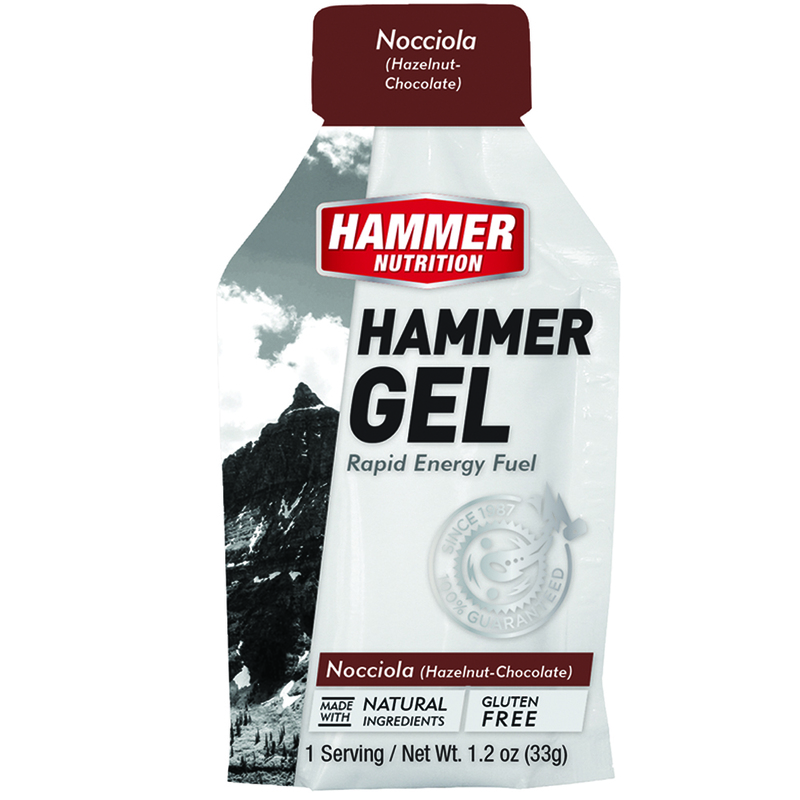 For maximum fueling variety and flexibility during your longest and hardest training sessions and races, mix or alternate Sustained Energy with Hammer Gel, HEED, and/or Perpetuem. IMPORTANT NOTE: Due to potential spoilage issues, Sustained Energy cannot be premixed and left for several hours in warm weather. The One-Hour Bottle – Mix the suggested amount of Sustained Energy for your bodyweight (see chart below) in a 520-710 ml water bottle. Consume one bottle hourly. This method is ideal when training or racing with a support crew. If you’re without a support crew but still want to use this option for mixing, keep in mind that it might be cumbersome as you’ll have to stop more frequently to mix your fuel drink. Also, because you are trying to fulfill both hydration and caloric requirements from one source, you have limited your ability to adjust one without affecting the other; you may need to consume additional water to satisfy hydration requirements. The Multi-Hour Bottle – This is by far the most convenient method of fueling because it allows you to be self-sufficient for many hours, requiring only additional plain water along the way. The only limitation is how many scoops you can fit into a bottle. Determine your proper hourly intake of scoops by experimenting with the numbers from the dosage chart. Let’s say you’ve determined through testing that 2 scoops of Sustained Energy per hour is your ideal caloric intake. For a 4-hour workout, you’ll need 8 scoops in a bottle, then filled with water and shaken well. You may need to add a few scoops at a time to get it all to mix well. You then nurse this bottle, taking small sips every 15-20 minutes. At this concentration, the water in the mixed bottle does not contribute to your hourly fluid intake needs. To meet your fluid requirements, carry a second or third bottle of plain water, use a hydration system, or know where you are able to refill along your route. Drink according to the temperature/humidity and your exertion level consuming between 475-830 ml of plain water per hour. This way, as long as you can obtain water along the way, you’re set for hours of hard training. Gel or Paste – If you want to carry the highest volume of calories in the least amount of space, making a thick mix is your best option. Sustained Energy can be made into a super-concentrated, near paste-like consistency and dispensed from a Hammer Gel flask. Using a blender or bowl and spoon, mix scoops of powder with a small amount of water, gradually adding water as necessary to create the consistency desired. You may also add Hammer Gel or HEED to alter the flavor, if desired. Depending on how many scoops per hour you require, and how concentrated the mix is, each flask of Sustained Energy can supply you with 2-4 hours of fuel. As with the multi-hour bottle, you must carry additional bottles of plain water or use a hydration system to meet your fluid requirements. Up to 54.5 kg – up to 1 scoop/hr. This provides 107 calories. 54.5 – 70 kg – 1 to 1.5 scoops/hr. This provides 107 to 160.5 calories. 70 – 86 kg – 1.5 to 2 scoops/hr. This provides 160.5 to 214 calories. 86+ kg – up to 2 or 3 scoops/hr. This provides 214 to 320 calories. 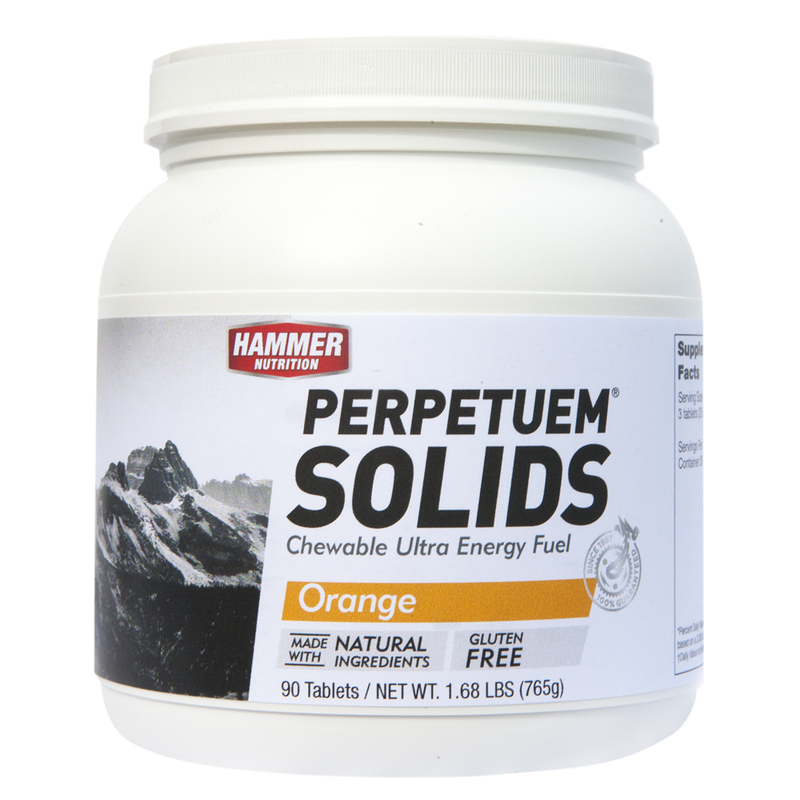 By design, neither Perpetuem nor Sustained Energy contains artificial preservatives. Preservatives provide absolutely no benefits for athletic performance or general health. 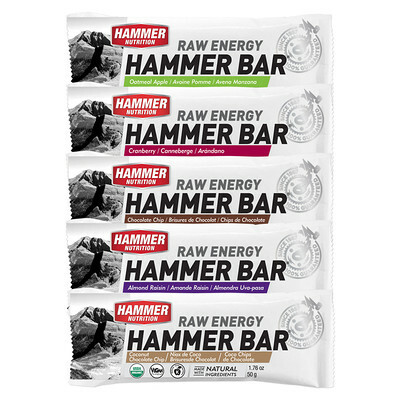 We consider them health hazards, in fact, which is why we do not include them in either of these products, or any of the Hammer Nutrition fuels.